Do you know of someone who should be on this page? Please email it to the Anchorage Board Office if you would like it to be included. A typical school board meeting will include many business items, such as approving the school calendar, adopting curriculum, overseeing construction, and approving contracts with outside vendors. A successful school board will balance discussion of the seemingly tedious business of running the district while paying close attention to the district’s priorities for academic achievement. Denny has been on the Board of Directors for Alaska Craftsman Home Program a non profit organization that promotes and teaches classes on energy efficient building practices in Alaska. 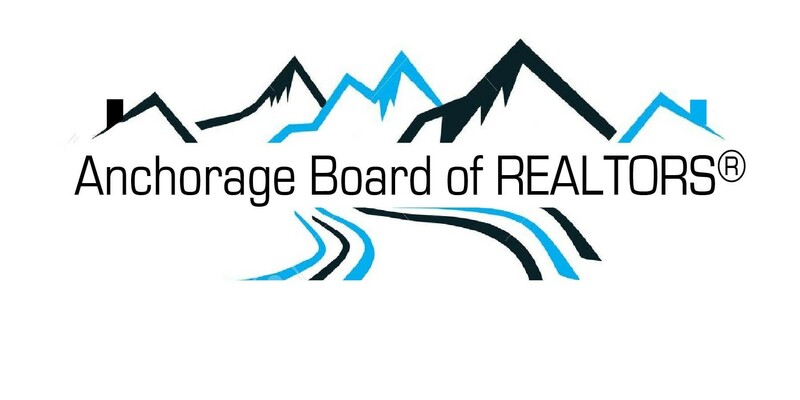 The organization also certifies energy rater for Alaska housing Finance Corporation. I have served in many capacities on the board for about 15 or so years. I have been a director, secretary/treasurer and vice president. ACHP does training across the state in energy savings for homeowners. The classes are free to the homeowner. Funding comes from various sources, largely AHFC. Jackie Pearson of RE/MAX Dynamic Properties has volunteered for Anchorage Habitat for Humanity, working on a job site clean up, and helping to organize and move materials. Southfork Community Council; Eva has been active at her local Community Council since 1984, she has served as Secretary and is Currently on the Board of Directors. Past Community Involvement includes; Arctic Winter Games in Eagle River 1998, and Special Olympics Anchorage 2001 as a Volunteer Translator for Scandinavian speakers. Alaska Museum of Natural History Board of Directors, and President 1998-2001. Lori Aughe of Keller Williams Realty AK Group: Lori sings 2nd soprano in the Anchorage Concert Chorus. This Summer the chorus, went on tour in Europe to Germany, Austria and the Czech Republic. The Chorus provides an opportunity to be a part of local artists making Anchorage and other parts of the world a better place to live. They hone their art and perform locally and abroad. Lori has been a part of ACC for 3 years and look forward to many years to come. The Chorus rehearses from September through spring and performs regularly throughout the year at fundraisers, Anchorage Women’s Club, multiple Christmas gatherings and the performing arts center. equity and other instructional concerns. Working on subcommittee currently to make recommendation for an alternative to out of school suspension. Keeping our students in class increases their chances of succeeding academically. Community member on the Governor’s Council for Disabilities and Special Needs Education – review programs and make recommendations and a yearly plan of items will review for the year. Great Alaska Schools – Advocate for Students, Teachers and ASD for funding from the Legislators. Dawn Danner of Glacier City Realty : Dawn serves as a VP on the West High School PTSA board of directors, and for the third year as coordinator for its major fundraising enterprise—the Eagle’s Cache. She coordinates the 50 parent volunteers and over 40 student groups who work together to raise money for the school by selling snacks during lunch. As coordinator she oversees all aspects of inventory, staffing, and policy for the Eagle’s Cache, which brings in over $30,000 each year that goes directly to the school and its students. Larry Burke of Century 21 Realty Solutions :Larry has been on the Board of Directors for Cook Inlet Soccer Club for almost four years and has been the President of the BOD for the past three. He has also been of the Alaska Youth Soccer BOD for the past two years and is currently the District Commissioner for Anchorage. Avalon Rachelle of Real Estate Brokers of Alaska: Avalon has been on the Board of Directors of Hope Community Resources for twenty seven years, And serve as president of the Hope Community Homes 1 committee. Sherilynn Bare of RE/MAX Dynamic Properties ~ BARE Essential Properties AK LLC: Sherilynn’s Volunteerism centers around children. She has been a parent volunteer Northern Lights ABC working with children in the classroom (4 years). Sponsors her sons hockey teams (3 years), and is also a parent volunteer. She also works with Children’s Lunchbox ~and has been preparing/serving free meals for children (on and off for 3 years). It’s been my pleasure to volunteer my time, talent & money to Tomo no kai. Tomo no kai is the Japanese Language Immersion Program Parent Support Group supporting K-12 students who participate in the Anchorage School District World Languages Program at Sand Lake Elementary, Mears Middle School and Dimond High School. ASD does not provide additional financial support their world languages programs which leave it up to parents to raise funds to provide items like study materials, and most importantly Interns who work with our students year round. My place in the program since 2006-present, has been coordinating the largest annual fundraiser for the program, the Fall Family Dinner at Mears. This silent auction/dinner/family fun nite event is usually attended by 600-800 people who have students enrolled in the program. We typically raise $12000-$16000 with which we are able to sustain the intern program and facilitate annual trips to Japan for 5th/6th & 8th grade students. Zinna Heavener of Jack White Real Estate Eagle River: In November of 2015 Zinna became a Licensed Foster home. She specializes in NAS(drug affected newborns). She has completed many hours of training to support these affected babies and has just handed over her 3rd infant to a grandparent to care for. Zinna has also started the training program to be a “CASA”(Court Appointed Special Advocate) a child advocate for children in the Foster System. In the past she has worked with the Red Cross of Alaska, managing events and fundraisers. She volunteered for the Men’s Expo for October 2015, and a fundraising project for Fisher House. She also is training to be a volunteer for Alaska Regional Hospital’s “No one Dies Alone” Program. Zinna lends a hand with RPAC fundraising in her spare time. Shelaine Thompson of Keller Williams Unity Home Group: Shelaine works with the Anchorage Concert Association, AKA Performing Arts Center.She is a voluntarily Usher at events. For the past year, she has been collecting food for New Hope Church, and she helps to set up the food bank store which is open to the public. She also donates and makes food for the weekly meals for the homeless or anyone else needing a meal. Shelaine volunteers twice a year at Beans Café, cleaning or serving food. She loves to recycle, and made two large blue recycle bins for the Jewel Lake Church of the Nazarene, which she then takes to the recycling center. Kathleen Kowalczuk of RE/MAX Dynamic Properties, Inc has been Volunteering with the Anchorage Housing Initiatives Inc. organization since 1995. That is dedication to the Mission! She has been serving as Treasurer since 2012. Anchorage Housing Initiatives Inc. provides housing for low income individuals, and families. Enhancing the beauty and value of plant material through education, preservation, recreation and research. 3 Days of Fish, Love and Music every Summer in Ninilchik. Please Join us August 5th-7th 2016 – Kenai Peninsula Fairgrounds. Community is the focus of KSJC. Our radio station reflects the diversity of ideas, opinions and musical tastes found in this remote mountain hamlet. Providing rehabilitative care and potential release for sick and injured wild birds.